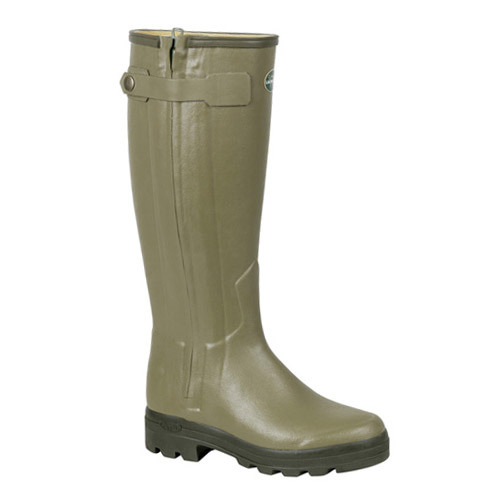 Fully lined in soft full-grain leather, the Chasseur is the flagship of the Le Chameau range. Luxurious leather combined with a full-length zip make the Chasseur as comfortable and easy to slip on as your favourite shoe. Crafted as it is from natural rubber the boot is guaranteed to be 100% waterproof. It is finished with the technically advanced dual density sole.